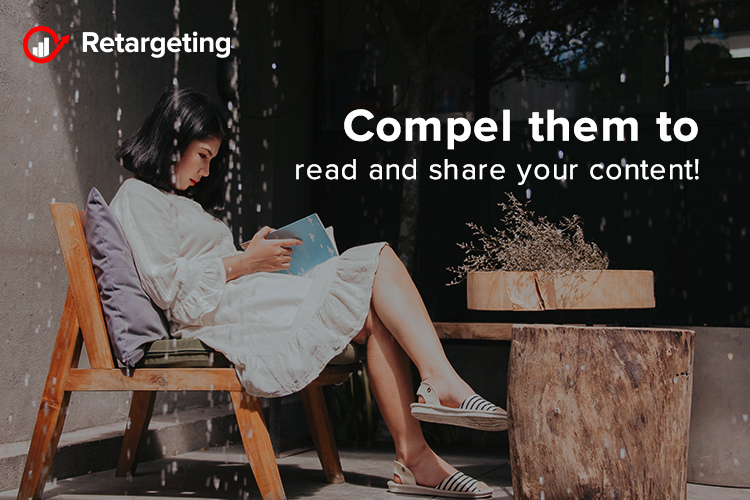 Compel them to read and share your content! Creating engaging content is harder than ever. Actually, recent studies showed that while this type of marketing tool was up 300 percent in 2016, engagement was only up 5 percent. And it doesn’t stop there! Those that do take the time to read and engage with your texts are only spending 37 seconds on your page. Why? For a number of reasons! From the overwhelming amount created every day to the fact that consumers are always connected to media, all make it hard to capture attention. While there is no magic recipe to get consumers’ attention, there are certain things marketers can do to better engage readers and increase the time they spend reading what they have to offer. Provide information: humans process images faster than words so they can convey information, whether it is a process, a study, or a statistic. Just as images play a role in engagement, so do videos. Actually, users spend on average 2.6x more time on pages with video than without. So why aren’t we all doing it? The first reason is the misconception that video requires significant time and money. But with the rise of technology, in order to create quality videos simply requires a little bit of planning, a digital camera, and a little bit of editing. Instructional videos: “how-tos” are an important part of the Internet, so the next time you want to put together an instructional blog post, consider making a video instead. They are fun, useful, and they make for great content. Industry updates: depending on your industry, updates can happen all the time. Instead of doing a content round-up, consider a video roundup. It’s smart, funny, and more interesting than a blog post with the same information. Your expertise: whether you’re promoting a webinar, a speaking engagement, or a product launch, a video preview can go a long way. Make it easy for your readers to see value in your content. That’s the key. It’s why things like bullets and sub-headings are often called out in blogging best practices. Quotes or call outs: quotes can be powerful when used properly. Use a quote box or call out in your content to help break up the text and lend some credence to the story you are trying to tell. Highlight specific tips: Your readers want answers to questions and they want information. Make it easy for them to find the takeaways and find the tips. Use bullets, italics, or a highlighted background to make your tips stand out. Providing real tips and value in your content will not only keep readers on your site but also help build trust and ideally, a relationship. By integrating these things into your content marketing strategy, they will eventually become part of the regular process.